XML is bringing together some fairly disparate groups into a new cultural clash: document developers trying to understand what a transaction is, database analysts getting upset because the relational model doesn't fit anymore, and web designers having to deal with schemata and rule based transformations. The key to rising above the confusion is to understand the different semantic structures that lie beneath the standards of XML, and how to model the semantics to achieve the goals of the organization. A pure architecture of XML doesn't exist yet, and it may never exist as the underlying technologies are so diverse. Still, the key to understanding how to build the new web infrastructure for electronic business lies in understanding the landscape of these new standards. If your background is in document processing, this book will show how you can use conceptual modeling to model business scenarios consisting of business objects, relationships, processes, and transactions in a document-centric way. 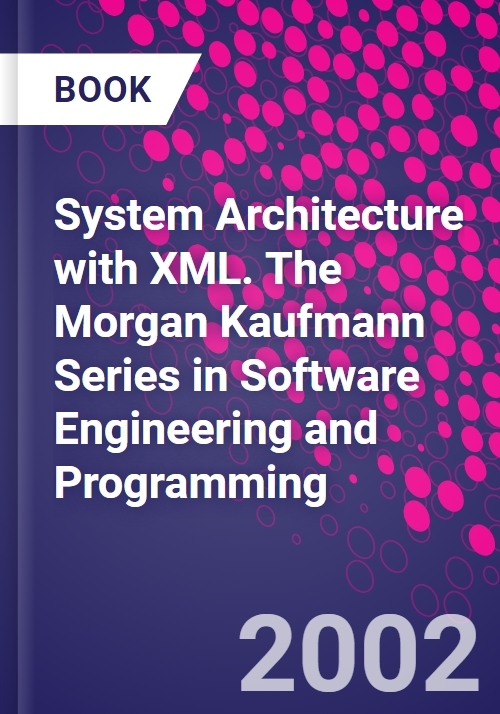 Database designers will learn if XML is subject to relational normalization and how this fits in with the hierarchical structure of XML documents. Web designers will discover that XML puts them into a position to automatically generate visually pleasing web pages and rich multimedia shows from otherwise dry product catalogues by using XSLT and other transformation tools. Business architects will see how XML can help them to define applications that can be quickly adapted the ever changing requirements of the market. Foreword. Preface. Scenario. Groundwork. Structure. Meaning. Modeling Processes. History. Hypermedia. Presentation Formats. Transformation. Infrastructure. Solutions. Glossary. Bibliography. Udo Merten holds a Ph.D. in economics. He is co-founder of Dr. Merten + Steinke Information Management GmbH, a consultancy firm specializing in the development of interactive electronic business applications and the automation of business processes. Merten has authored and co-authored various articles in scientific publications and contributions to conferences, and is also co-author of several books.